An Aycliffe restaurant is celebrating its tenth anniversary in business by pledging to raise money for 10 charities throughout the next year. The County, which is situated in the heart of Aycliffe Village, will be hoping to raise as much money as it can for a number of charities, including The Salvation Army, St Teresa’s Hospice and Women’s Aid, throughout 2018. 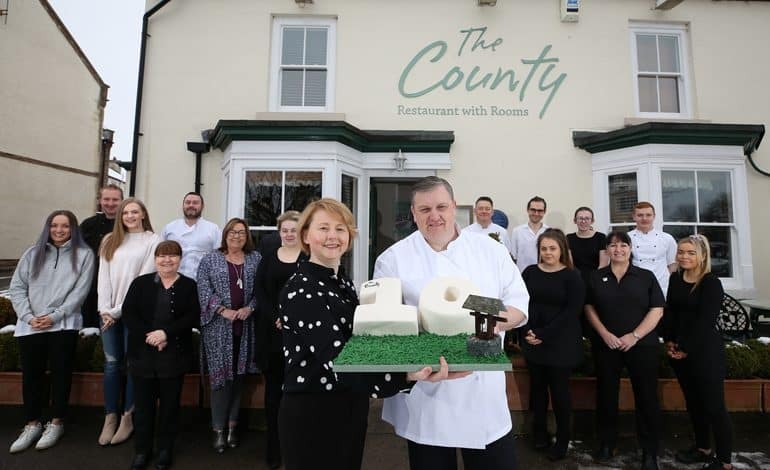 To say a special thank you to its loyal customers for their support over the years, the restaurant commemorated its birthday with treats, including a cake and a £10 voucher to be used in the restaurant. Business owner Colette Farrell said: “I’m shocked that the last 10 years have passed so quickly. The last decade has seen many highlights for the restaurant, which employs 25 staff members, including the addition of seven luxury guest bedrooms in 2010 and winning the Northumbria Dining Award in 2014. Over the last six years, owners Colette and Stuart Dale – pictured above with their team – have invested over £150,000 into the refurbishment of both the restaurant and bedrooms. “We constantly work hard to make sure our restaurant and rooms are well-presented and welcoming for all of our visitors,” said Colette. The couple believe the reason for the business’ success is down to the team’s hard work and dedication, mixed with the high-quality of food, customer service and excellent location. “We have also benefited from an apprenticeship scheme as two of our chefs, Callum McFadden and Scott Marriott, who have now been with us for four years, started at The County as apprentices,” added Colette. 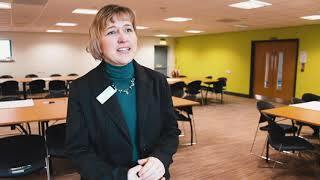 “Support from the locals in the village and surrounding businesses in Aycliffe Business Park is fantastic and we can’t thank them enough.